There is a lot of confusion around different types of plant-based, biodegradable or compostable plastic and how eco-friendly they really are. In a nutshell, most of these types of plastic will NOT break down safely if they end up in the sea, or discarded as litter anywhere in nature, because they need specific conditions to decompose. This post aims to shed light on the distinctions between the different types of ‘eco-friendly’ plastic and guide you toward making the best decision – for your organisation and for preventing further pollution. Knowing what a particular type of plastic has been made from will determine how best to get rid of it at the end of its useful life. For example, plastic derived from plant materials cannot be added to conventional fossil-based plastic recycling streams. So, whilst it might appear to be the most eco-friendly option at first glance because it doesn’t involve extracting more oil, it might still become waste that we find difficult to get rid of at its end of life. Bioplastics are made from plant or other biological material instead of petroleum. They are often made from corn starch or sugarcane. Advocates argue that if a bioplastic item releases carbon once discarded, as it degrades, it will add less carbon to the atmosphere than conventional plastic because it’s simply returning the carbon the plants removed whilst growing, instead of releasing carbon previously trapped underground in the form of oil. Opponents say that argument doesn’t take into account the question of whether its ethical to use land, energy and water to grow a crop that is not destined for human nourishment in a food scarce world. At end of life, some bioplastics are able to be composted in high heat industrial composting facilities but others are not – it depends which material has been used to make it. Some are able to be recycled but most are not. The rest will go to landfill. The confusion surrounding what to do with bioplastics once their usefulness has come to an end is their biggest drawback. If bioplastics escape into the environment, a common misconception is that they will break down naturally and harmlessly. However, unfortunately all bioplastics currently available behave just like conventional plastic in nature and are equally as capable of causing harm in the marine environment. Without adequate industrial composting facilities and widespread education on how to safely dispose of them, any push toward using bioplastics could be construed as greenwashing. 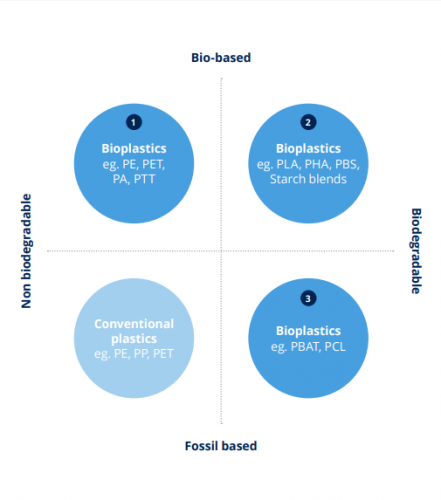 This diagram demonstrates the complexity of the term bioplastics, which refers to a diverse family of materials with differing properties and differing ways to dispose of them. Whether plastic is non-biodegradable, biodegradable or compostable will determine how to try to safely dispose of it at end-of-life. It’s imperative that we educate ourselves and those around us on these matters, however complex they may seem at first glance. I have tried to simplify the key points below and finish up with a few useful questions to ask when considering a material, to see if it really meets your criteria. Conventional fossil-based plastic is non-biodegradable and is best disposed of in recycling (if possible) or landfill. Many bioplastics are also non-biodegradable (see diagram above). Biodegradable plastics have additives that allow them to break down faster, however this does not mean they should be freely released into the environment because the speed and nature of biodegradation differs between materials and environmental conditions. ‘Biodegradable’ should really be an obsolete term as there is no time requirement for the biodegradation of biodegradable plastic nor is there any requirement for avoiding harmful residues. Many biodegradable plastics leave behind toxic microplastics. In 2016, the UN’s top environmental scientist warned that biodegradable plastic offered a false solution for the ocean waste problem, because once they reach the ocean they are unable to break down and therefore continue to harm marine life and eco-systems. Another issue with both biodegradable and compostable plastics is that additives prevent it from being successfully recycled alongside conventional plastic, so it prevents a full transition to a circular economy, keeping valuable resources in the system. New resources need to be extracted or grown to make new biodegradable or compostable plastic. Compostable plastics are defined as such because they are required to meet criteria (EN13432 or equivalent) that ensures they will safely decompose within a specific time frame, usually 3-6 months, in industrial composting conditions . Some compostable plastics can also decompose successfully in-home composting conditions (typically cooler and less efficient than industrial compost facilities). Switching to compostable plastic as a knee-jerk replacement to traditional single-use plastic products and packaging is not always the perfect solution that it first seems. Firstly, it doesn’t address our throwaway culture, and the investment of energy and resources required to grow, manufacture and distribute a material that is still intended to be used for fleeting single-use purposes. 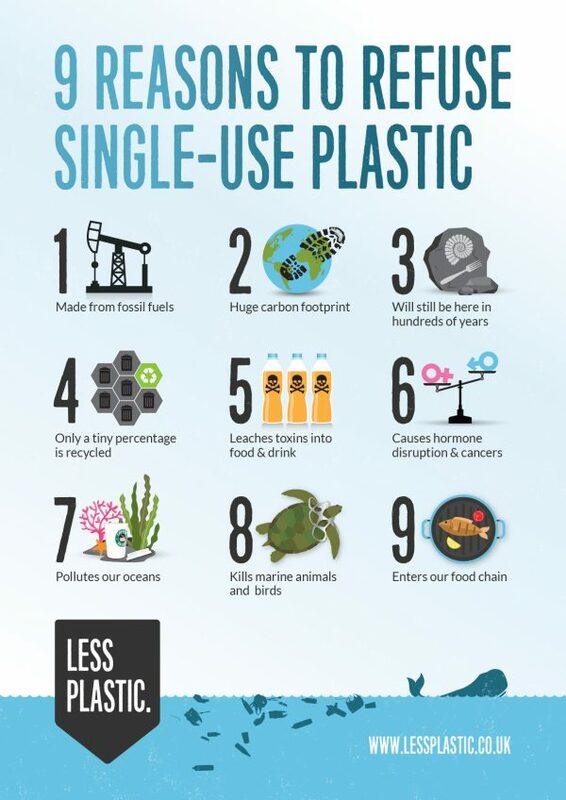 Secondly, most compostable plastic is not safe if it escapes into the environment or ocean. Nor can it be added to conventional plastic recycling streams. If it ends up in landfill it will release methane, a powerful greenhouse gas, as it biodegrades. 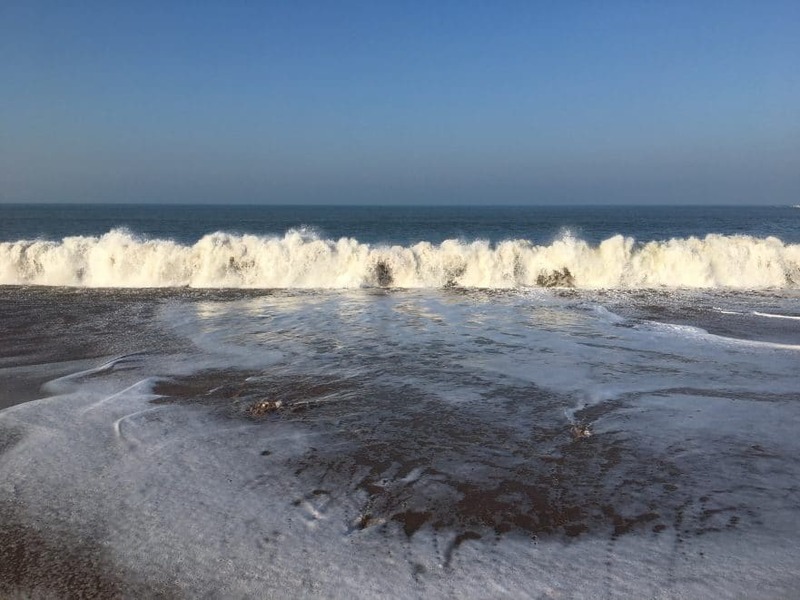 However, potentially the biggest drawback of biodegradable and compostable plastic is that it can lead to an increase in littering as customers misunderstand the capabilities of the materials, which means more of it ultimately ends up in the sea. 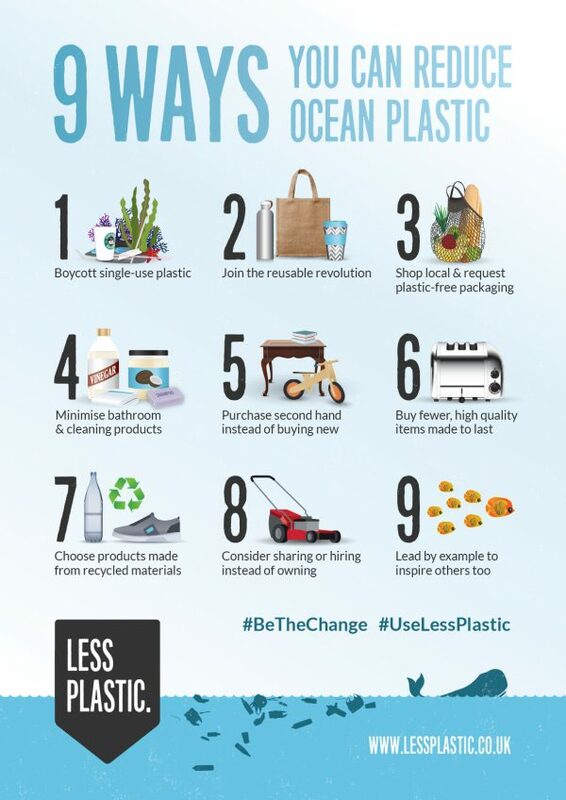 Even if a material is proven to decompose in the ocean in a relatively short period of time 6-12 months (compared to 400+ years for conventional plastic) it still has the capacity to harm plenty of marine life during this time. And we have no knowledge of the consequences for any fish that eat its chemical components and the impact on the food chain. 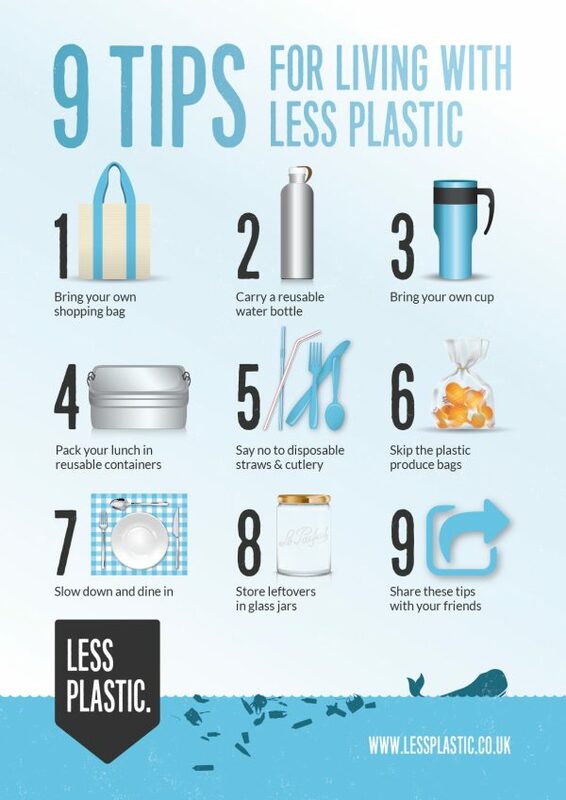 REMOVING, REDUCING or REUSING plastic (in that order) is the best way to prevent plastic pollution. Unfortunately, many switches to compostable plastic, although well-intentioned, stem from the desire to find a quick-fix solution, without thinking through whether it will really end up composted. If they can’t be sure then it doesn’t solve the problem. 3 – ensure compostable plastic waste reaches high heat compost facilities. The above requirements are likely to be more realistic for closely managed and closed systems such as festivals, events, schools, campus colleges, office blocks and small communities. Or for businesses such as veg box delivery services, where customers could be educated to compost the packaging with their vegetable peels, or can send it back to be composted at the farm. Riverford is a great example of a #PlasticGameChanger business leading the way in reducing and reusing their packaging where possible, and switching to compostable plastic where necessary, coupled with customer education. 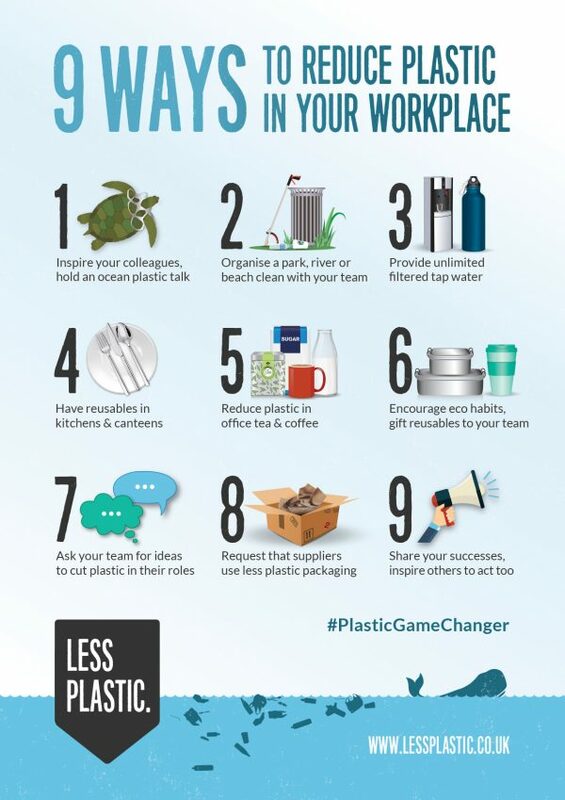 My recommendation is to always prioritise steps that REMOVE, REDUCE or REUSE plastic in your products and packaging wherever possible – rather than swapping one single-use item for another. 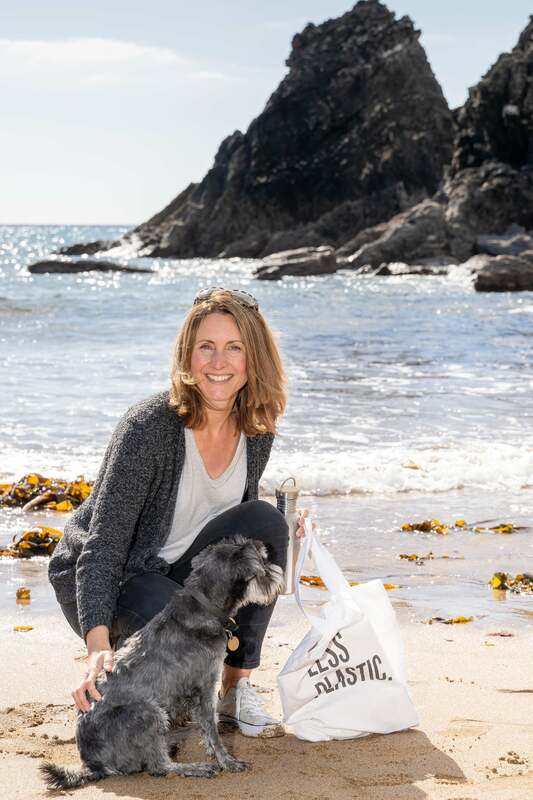 There are certain to be many new innovations over the coming years to address the need for cheap, useful packaging solutions that are marine degradable and don’t put too much pressure on our land and our food production system. Some promising, emerging examples include a mushroom-based packaging designed to replace polystyrene, from US-based Ecovative Design; dissolvable, nutrient-rich seaweed packaging for food wrappers and sachets from Indonesian start-up Evoware; and the recent discovery by Israeli scientists that they can produce bioplastics from organisms that feed on seaweed, negating the need for land and fresh water in their production process.